At INSPIRE Digital Studio we offer custom website design solutions with your business goals in mind. We specialize in WordPress website design and #a6cc00. Whether small websites and landing page designs, or larger complex sites using Content Management Systems, we create functional and responsive websites that reflects your Brand’s voice. From domain, email and hosting setup, to SSL security and other custom functionality, we provide a one-stop-shop solution to get your brand, product or business up and running, and looking top notch. If you are selling a product or service online, you have come to the right place. We design custom eCommerce websites using platforms like WooCommerce, SquareSpace and Shopify. Our responsive eCommerce website solutions make mobile shopping a breeze, along with fully integrated CMS backends, SSL security and integrated merchant portal. Our WooCommerce websites offer numerous 3rd party plugins that allow for customizations, functionality and social media integration. 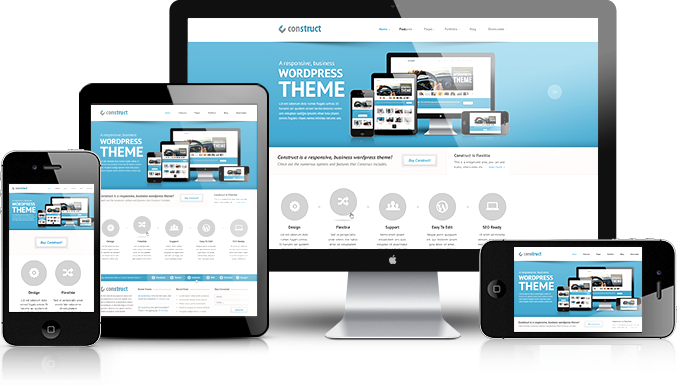 As avid lovers of the WordPress environment, all our websites are fully responsive, allowing for convenient mobile viewing. From a simple landing page design or small website design, to an eCommerce store, our responsive websites designs engage viewers and shoppers alike across all tablet and mobile devices. Responsive website design is an important component for organic search engine results in Google. Fully integrated Content Management Systems allow business owners the flexibility and easy of use to manage inventory, fulfill orders, send out automated invoices as well as a plethora of other eCommerce related features. 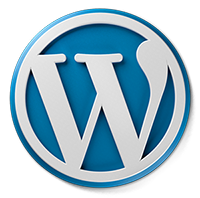 Our custom WordPress website solutions give business owners the ability to integrate almost any widget or plugin they desire. WooCommerce is one of the world’s leading open-sourcing eCommerce platforms. Our WooCommerce Websites is integrated with WordPress and allows for an easy and streamlined shopping cart backend, with fully functional payment gateways of your choosing, social media integration, product inventory control and a plethora of other eCommerce related features. Depending on your business needs we have website hosting solutions tailored to fit your budget. From cheaper Shared Hosting Servers to more robust Virtual Private Servers (VPS), we offer hosting solutions that can give you full control of your website environment. For larger businesses requiring more flexibility and hosting control, we also offer Amazon Server solutions. Your website or eCommerce store’s security is important to us, that is why we ensure the best security measures are deployed. 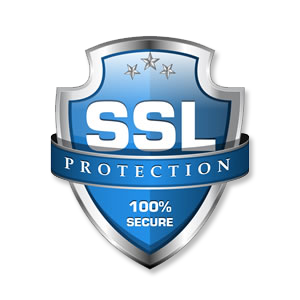 We provide SSL secure websites by partnering with either Comodo, VeriSign or GeoTrust. For larger ther online security measures such as WP Engine can be implemented at an affordable price. The first step before setting up any eCommerce Store, is understanding your business needs and goals. What products or services are you selling? How many (different) products are you selling? Are you selling subscriptions? How are you handling shipping? How do you intend to market your products or services? Will you need any third party software integrate that allows your business to communicate with distributors or warehouses? Once we have established the parameters for what you are selling, we explore the various eCommerce platforms based upon your needs and more importantly, your budget. Simple SquareSpace eCommerce solutions can be setup and designed for as low as $990 (excluding monthly hosting fees), or basic WordPress eCommerce Websites for as low as $1,200 depending on some variables. For bigger eCommerce projects we recommend using WordPress or Shopify. Tracking and analyzing shoppers coming to your eCommerce store is a very important and integral part of selling online. Through a free service like Google Analytics, or a third party platform like HotJar, we are able to analyze and monitor user behaviors. We use this data to better understand your viewers, adjust your eCommerce store if needed, and better utilize your advertising budget so that we can target the best marketing options. Growing one’s social media influence is fast proving to be one of the most successful and influential marketing verticals for many brands and businesses. Whether growing your social media accounts organically, or opting for pay-per-click marketing campaigns using Facebook and Instagram Marketing, there are several options we can explore and implement for your brand. Are your organic Google search rankings much to be desired? Google Ads is a proven and highly successful advertising platform to explore for immediate online presence and targeted lead generation. Whether you are selling a product, service or merely promoting your brand, marketing with Google Ads is well worth the investment. Packaging design requires an intimate understanding and exploration of your product needs, your target market and the intricacies associated to delivering your product on the retail level. Our expertise in creating visually appealing retail packaging design concepts, coupled with vendor partnerships from printers and packaging suppliers, makes us a one-stop shop. Email Marketing is a great tool to communicate with existing clients, promote company newsletters, as well as advertise specific products or services. 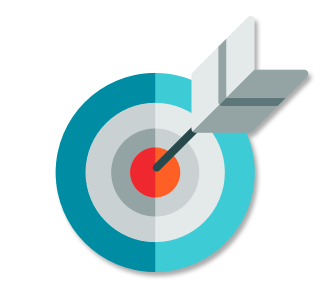 Using easy-to-use platforms like MailChimp that offer robust analytics, your business can efficiently deploy and track targeted email marketing campaigns. 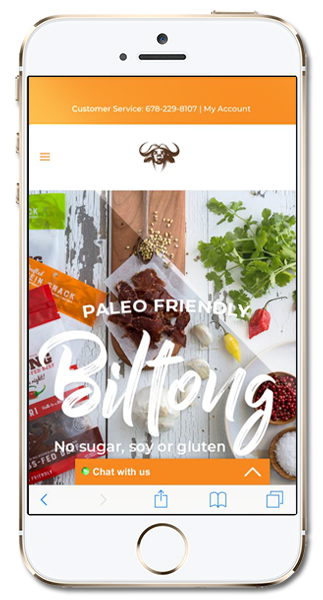 “We needed an eye-catching brand and packaging concept for our gourmet Beef Jerky company. Inspire designed our entire brand, packaging and eCommerce presence which is absolutely breathtaking. It has significantly helped us within retail and online sales. We are very pleased with their passion, service and creative expertise”.